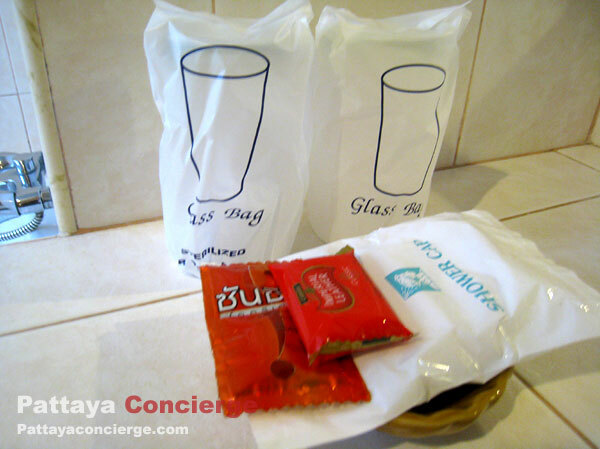 Diamond City Place Pattaya is a great budget serviced apartment in Pattaya City. It can provide both good facilities and convenience with inexpensive price. 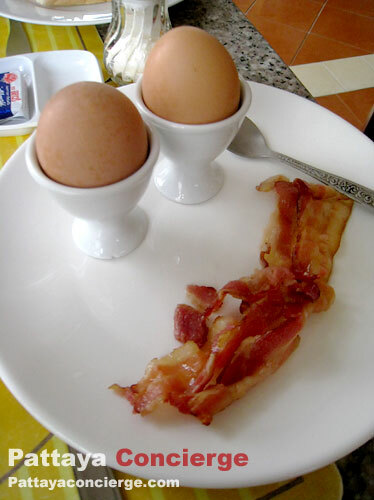 Note that a short-term stay usually includes breakfast. A certain great point for this service-apartment is its location, because it is just next to South Pattaya Road. It is easy for visitors to find. Daimond City Place is also situated very near convenient stores, restaurants, supermarket and Tuk Com – IT Shopping Center. 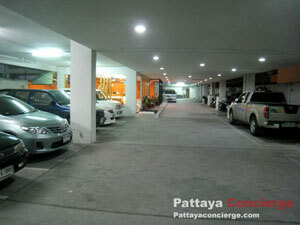 Those who would like to visit Walking Street Pattaya can go there in 7-8 minutes by walk. 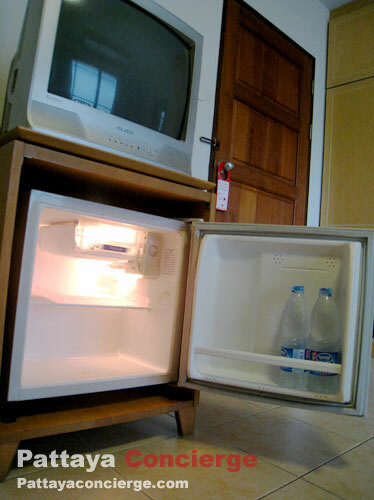 For the room of Diamond city place, it is pretty large with full standard facilities – a Television, Small Refrigerator with two bottles of water for free, cupboard, shoes shelf, dressing table. 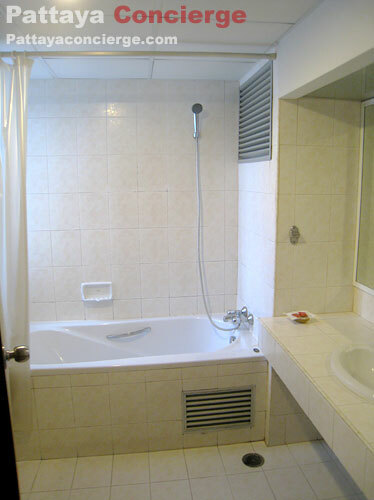 In the bath room, there is soap, a sachet of shampoo, and a bathing cap provided. There are also hot-cold water and a bathtub. 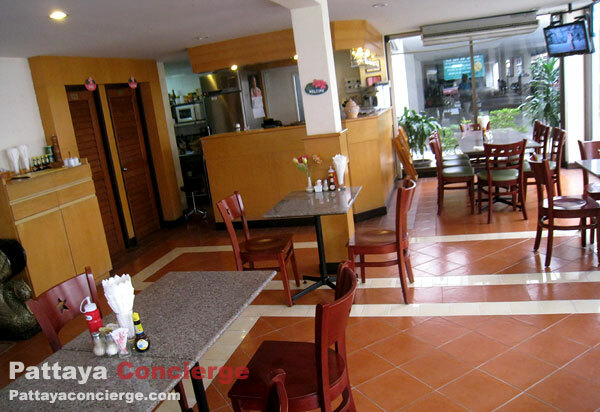 At the front area of Diamond City Place, there is this serviced-apartment's restaurant for serving customers all day. Behind this restaurant, it is a car park provided. Next to the car park, it is customer service counter (lobby); asking information and check-in / check-out can be done here. The front service here is also ok. The decoration of this serviced-apartment is cozy style. The lobby is opened-air design. 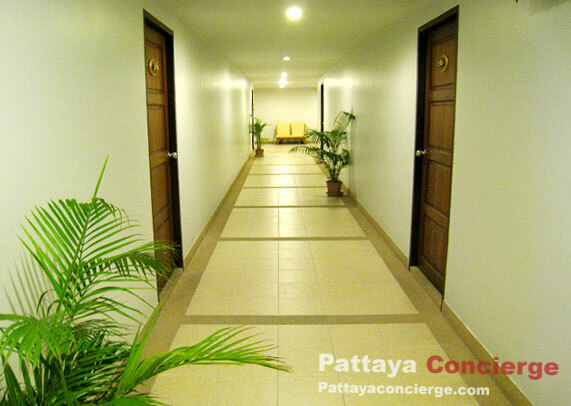 The corridor is not small; it can make visitors look more comfortable. Besides, as it is not a large hotel, it is pretty quiet. 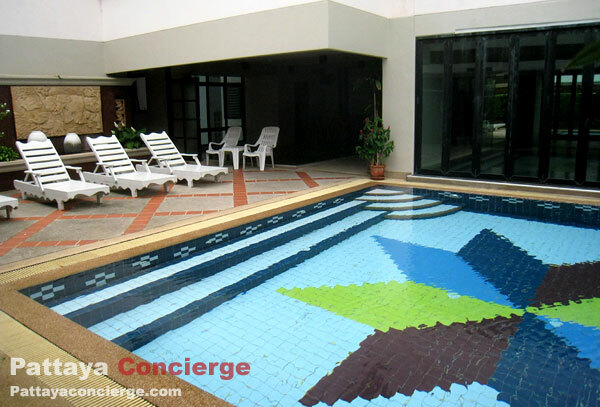 An area provided next to the swimming pool on the 2nd floor can be seen as a relaxing corner. Though, the pool on seems to be too small for go swimming; it would be ok for just having a bath. 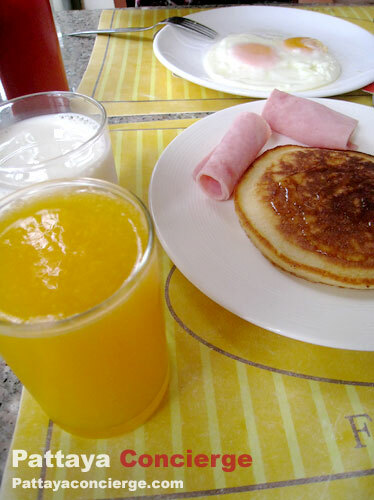 In the case of the restaurant, if customers book a room that include breakfast (usually included), they will get a coupon for the breakfast in the morning. The staffs here are pretty friendly and helpful. The food is not buffet, which is great because personally a small accommodation can deal with customers one by one, so the food can become more interesting and fresh. For the food here, there is a check list for three main food choices; the most value for money one seems to be the breakfast set, though. When thinking about this type of meal we can have, the price for staying here is not expensive at all. - Reasons: located in the community – close to shopping center, convenient stores, restaurants, walking street, easy to find, and not difficult to take a public transport (Songthaew - see Songthaew Pattaya Route Map); Room is large and clean; A good breakfast included.